We’re playing in Seattle this Saturday, June 6th, at the Victory Lounge as part of our buddy Nik from Good to Die records birthday bash. We go on at 11 pm. If you don’t know, Victory Lounge is next to the Black Lodge and Lo-Fi . 433 Eastlake Ave E.
Hey! Haven’t checked in for a bit. But lots of news in the pipeline. First off, we’re extremely excited about to be jumping on with UK’s Loop reunion shows for Seattle & Portland May 15-16. 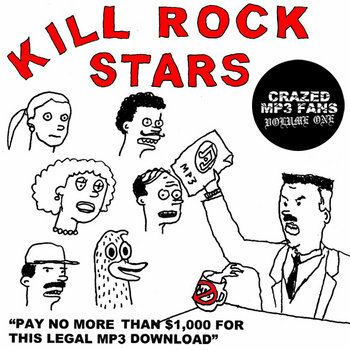 Also, there is a new Kill Rock Stars compilation, “CRAZED MP3 FANS Vol. 1” with a track from Cosy Moments and tons of other tracks from other KRS-related bands for your enjoyment. As always, check back here for more to be announced, but that’s enough for now, right? Wed 26 Feb 2014 – early show! Bootleg Theatre (Los Angeles), also with Wild Pack of Canaries (Long Beach) starting the show at 8pm. Kinski plays at 9pm. Fri 28 Feb 2014 – Mississippi Studios (Portland, OR), also with Chris Brokaw (of Codeine). 8pm doors, show starts at 9pm.